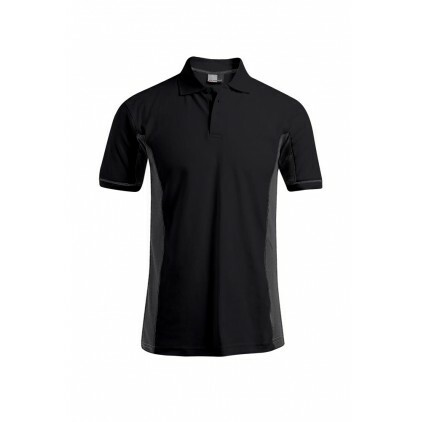 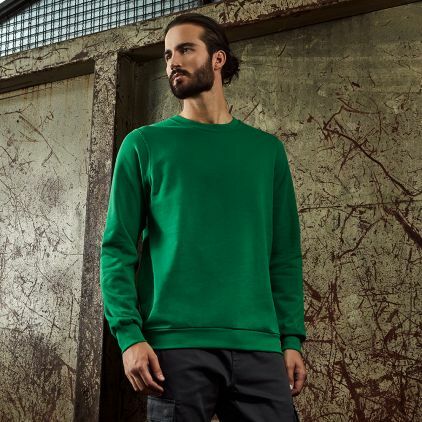 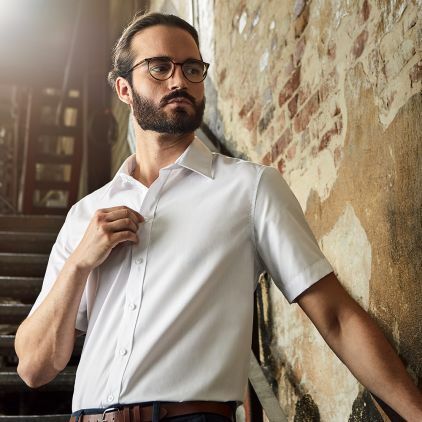 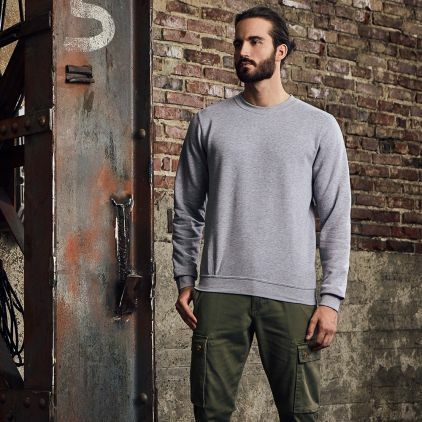 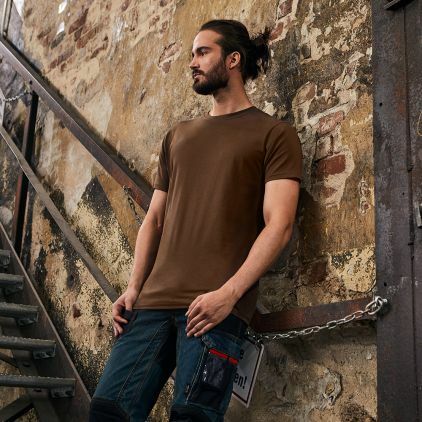 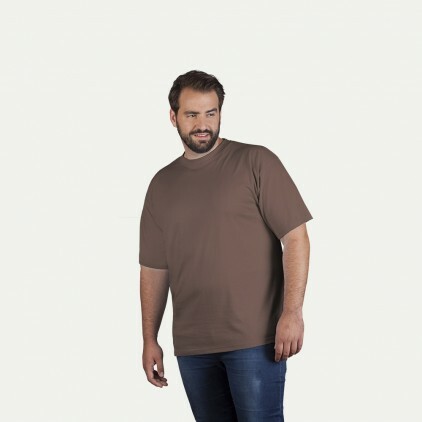 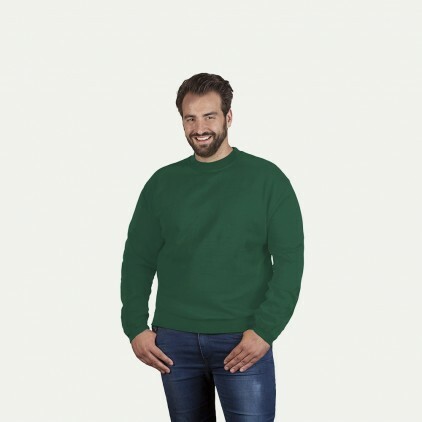 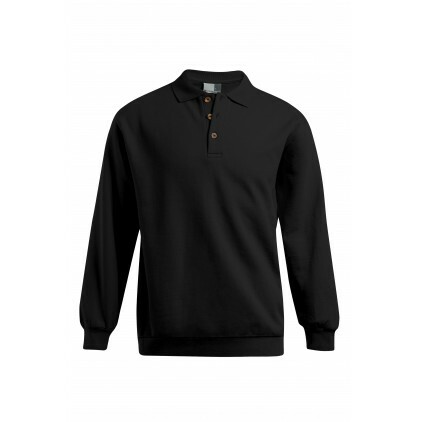 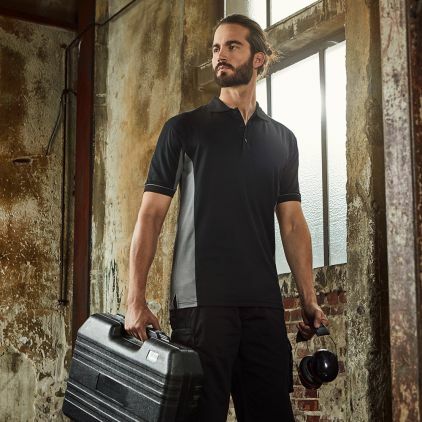 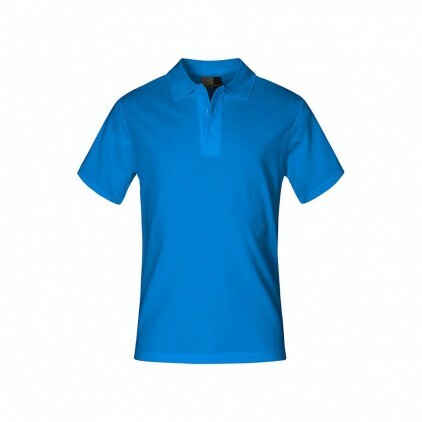 The promodoro workwear polo sweatshirt for men is made of 100 percent cotton and has typical polo details like a button placket and polo collar. 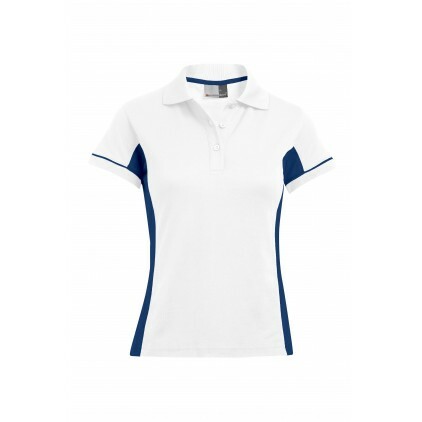 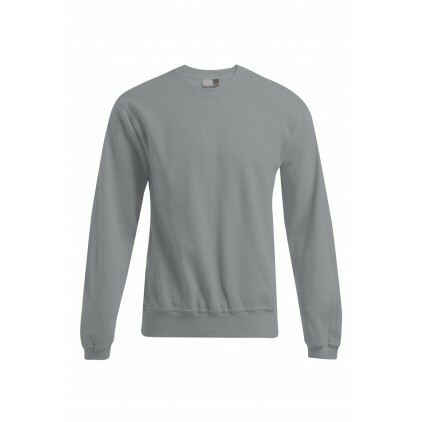 It has a roughened inside and elastane cuffs on arm and hem. 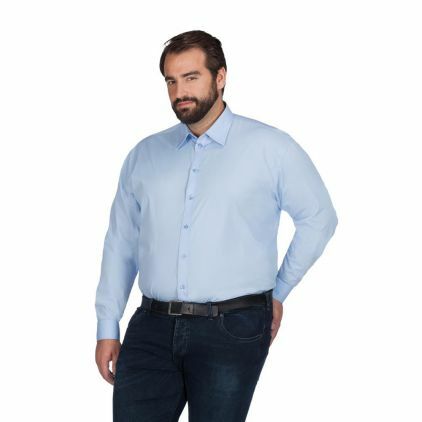 Also available in 3XL.